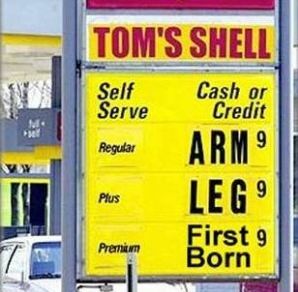 Small Business Advocate Poll: Who’s responsible for gas prices?
. Tags: 2012 election, fuel costs, Gas Prices, Jim Blasingame, Obama, politics, Presidential Election. The price of gas is going up. How much, if anything, do you believe President Obama contributed to this increase? 18% - None - Market force, not politics are to blame for gas prices. 31% - 100% - Obama’s policies have directly or indirectly caused this increase. 51% - 50-50 - Markets are in play, but presidents have ways to influence gas prices. As noted in Tuesday’s post, the condition of the economy, with emphasis on unemployment, will play a big part in the outcome of the 2012 presidential election. One other component that hits every American in the pocket is the price of gasoline, which right now is very high. Our question this week was designed to find out what small business owners think about who or what contributes to such high prices. As you can see, more than eight of ten of our respondents think President Obama has caused or influenced the high prices. If you like politics, it will be very interesting to watch the President respond to the politically charged economic element of gas prices over the next eight months. Sydney Morning Herald editorial arguing against an Iran war. Don’t know how much longer I will be able to afford to drive the way things are going. Between my partner and I we are spending about $100 on gas per week. The Congress needs to do something about this. Its unbelievable. With prime driving season right around the corner you know prices are only going to increase. Guess I will be taking my bike to work.